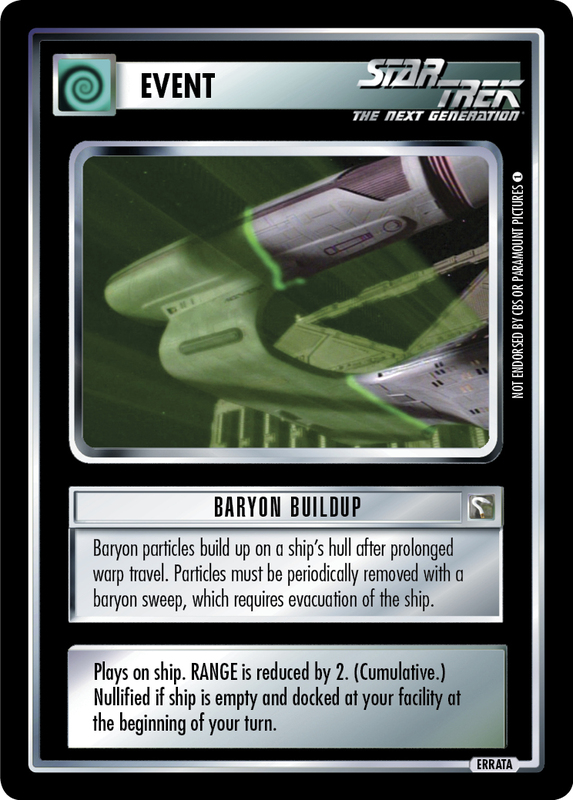 Baryon particles build up on a ship's hull after prolonged warp travel. Particles must be periodically removed with a baryon sweep, which requires evacuation of the ship. Plays on ship. RANGE is reduced by 2. (Cumulative.) Nullified if ship is empty and docked at your facility at the beginning of your turn.